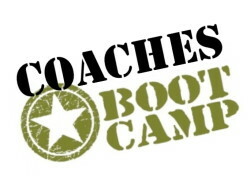 Coaches Boot Camp – Live Event! Come workout with Stephanie and Tara for Coaches Boot Camp Live-a results driven and energetic coaching skills workout program that includes motivation, accountability and dynamic resistance training; all designed to up your heart rate, burn your fears and tone your whole approach to advance your coaching in a safe, fun and non-intimidating atmosphere.Personalization is key to getting the best possible results, which is why our workout program can be modified to fit your goals and individual skill level. Join us for a day filled with fun and advanced training. You are sure to get a workout to strengthen your coaching skills! Early Registration Savings ends October 11th!